Whether you choose to battle the Cerulean City Gym right as you enter the city or choose to head off to Route 24 first, you can battle the Pokemon Gym as long as you have at least one Pokemon that is at Level 15 or higher. 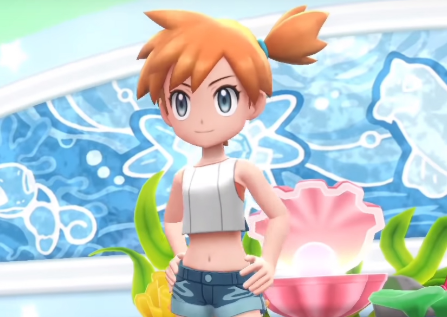 Much like the Pewter City Gym, the trainers standing between you and the Cerulean City Gym Leader, Misty, can be avoided simply by walking around them. All the trainers found within the Cerulean City Gym will use Water Type Pokemon, and by defeating Misty, you will earn the Cascade Badge and be given TM29. Need help defeating the Cerulean City Gym? Check out our How To Defeat Cerulean City Gym Page!